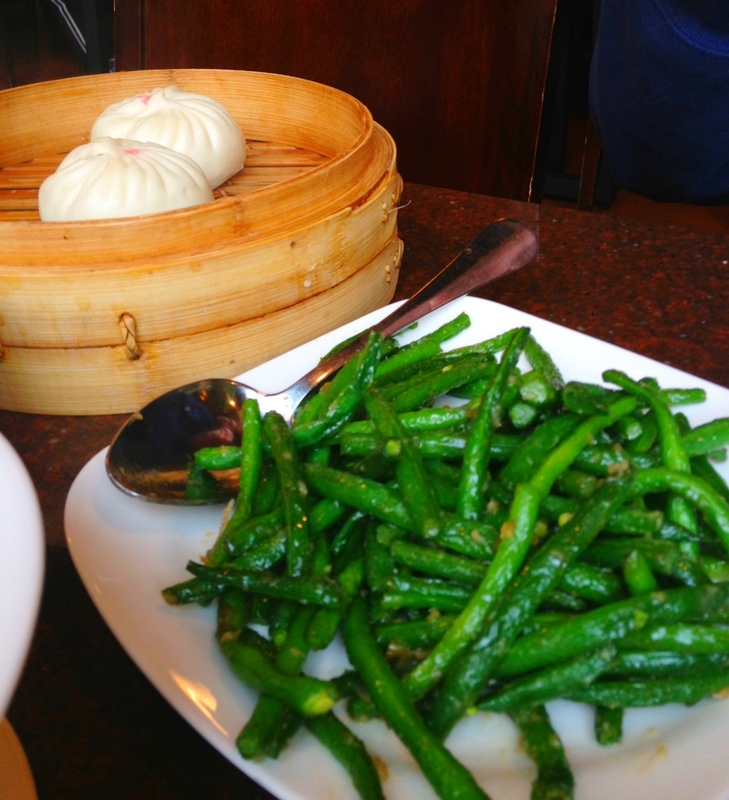 Its become a semi-tradition: Sunday = Din Tai FUNday. This place is incredible. We usually only go on Sunday mornings right when they open because it’s so hard to get a table during normal lunch and dinner hours (no reservations). I have no idea why Bellevue was chosen as the next place for this a-mazing chain (the only other U.S. location is in L.A.) but I’m not complaining! 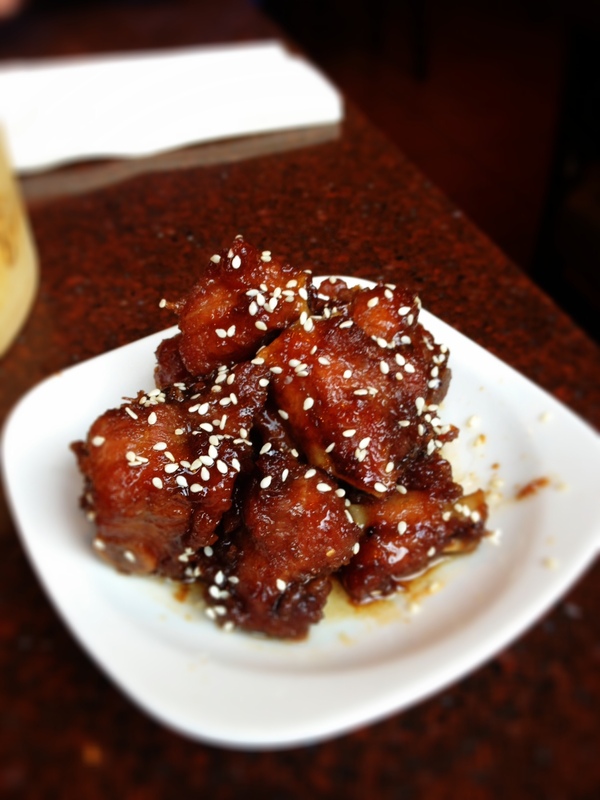 The spareribs appetizer - supposed to be served cold, but ask for it hot! If you’re in the Bellevue/Seattle area, I highly recommend hitting up Din Tai Fung if you want to try some out of this world dumplings, noodles, and other unique accompaniments. One thing I’ve found about Din Tai Fung is you have to know what to order. 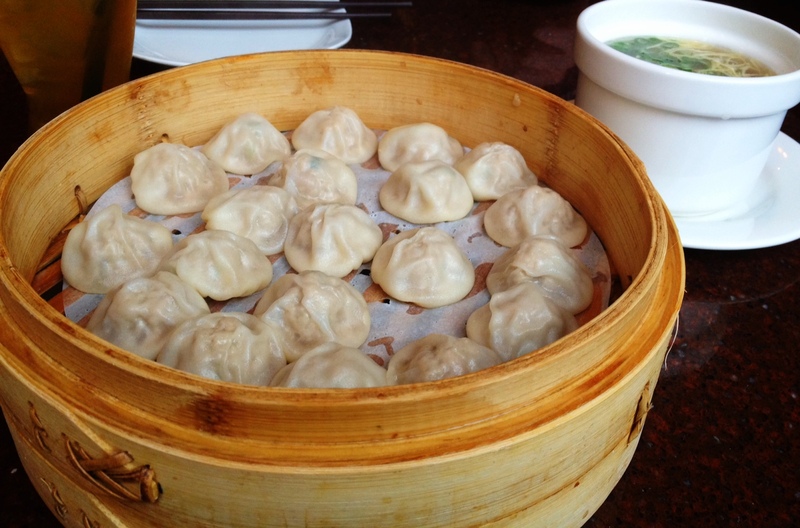 When I first came here, I tried the pork and crab dumplings – definitely not the best thing on the menu. I also ordered the pork buns thinking they would be similar to Hum Bao but they ended up being buns with a giant pork meatball in the center – also not my thing. I was a little disappointed, but I can’t tell you how glad I was when I gave this place a second chance and discovered the best of the menu (all pictured here). Pictured below is one of the best dishes ever. 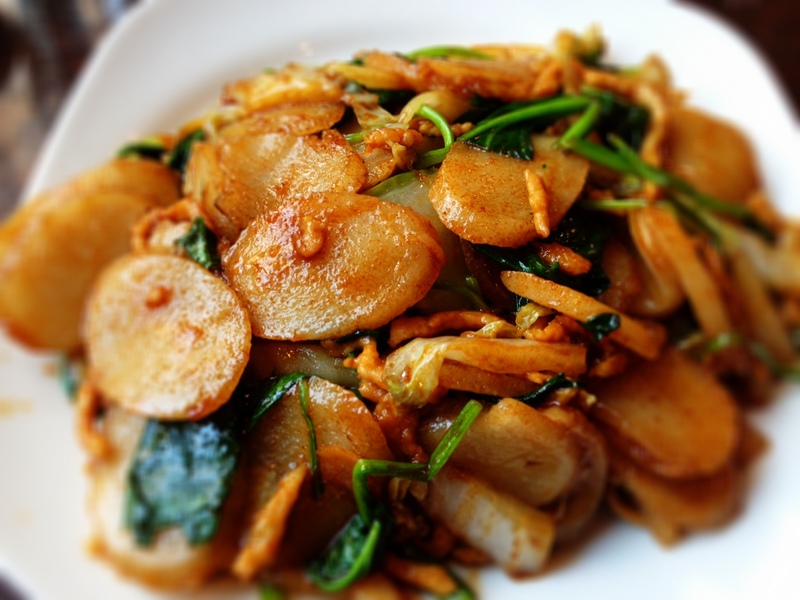 The rice cake noodle (choice of shrimp, pork, chicken, veggie…we got the pork today). Looks weird, sounds weird, but taste like nothing else on this earth…at least to me. Chewy, soft noodle-y discs that I tend to pour probably too much vinegar over. Did I mention they give you tiny little bowls of sliced ginger that you have the choice of pouring soy sauce or vinegar over? I go with the vinegar, I’m convinced I’m a fanatic of it since I completely ignore the soy sauce. (You can see the tiny bowl of it in the bottom of the below picture). 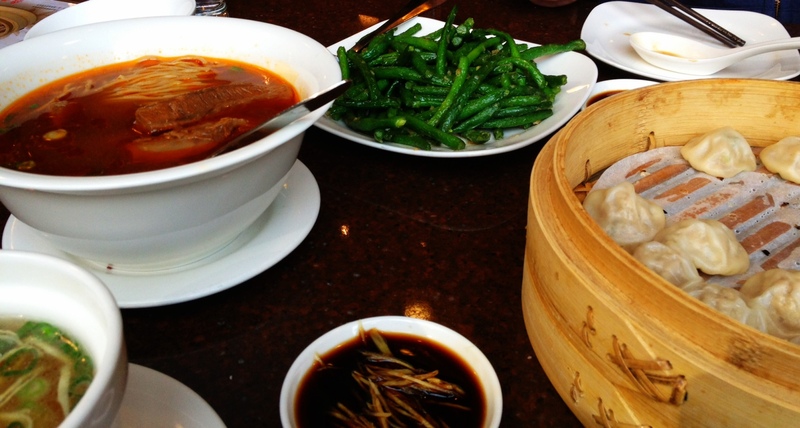 A glimpse of our Sunday morning feast, aka Din Tai FUNday. There’s a lot more where this came from, and since I go here so often, there may have to be a “part II” post. 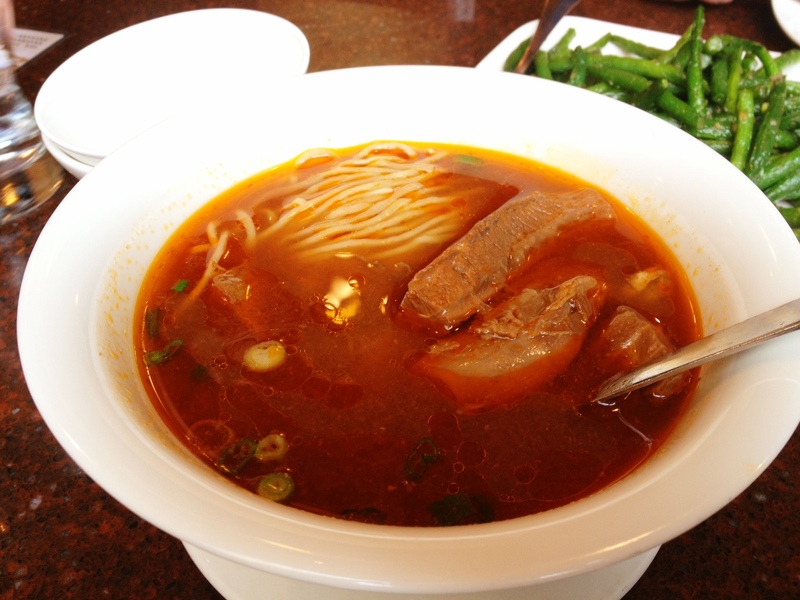 I know I’m not the only one who loves Din Tai Fung, so if you haven’t been, go RIGHT now, seriously. Or wait until Sunday morning at 10:00AM, the best way to brunch in my mind.